Before our own write-up for the series, we decided to share the insight of director Masaaki Yuasa on the making of DEVILMAN crybaby: how the project came to be, the way he approached its themes, as well as curiosities about the production itself like the multiple solo key animation episodes. Translation from an original interview by Haruna Yamazaki, published on Buzzfeed Japan. ─ You’ve talked about your love for the original Devilman in the past. Would you say that this anime adaptation is a long-held wish come true? No actually, I wouldn’t have dreamed of it in a million years. I had worked with Aniplex for Ping Pong the Animation, and when we entered talks to work together again, they were the ones who suggested Devilman. It had left a strong impression on me when I read it as a kid, but I loved it purely as a fan. 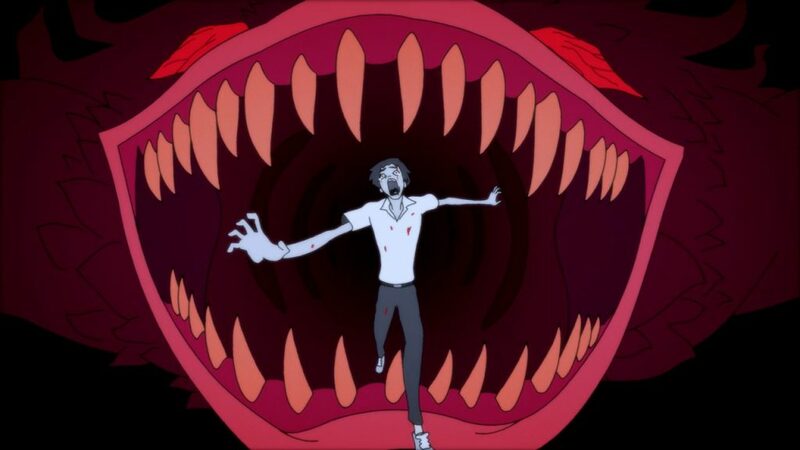 I’d never have imagined animating it. 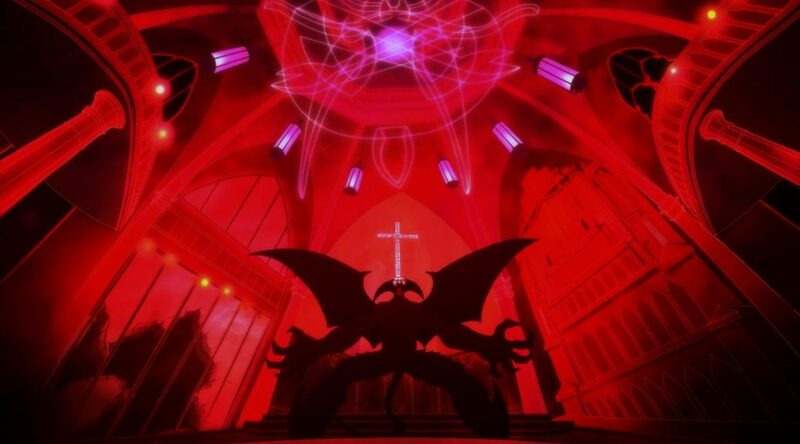 Devilman is a classic that’s been adapted many times, so thinking hard about how I’d approach it, I came to the conclusion that it’d be a difficult project to go forward with. But also that I’d like to see if I was up to the challenge. I’ve personally been feeling at the top of my game lately too, so I thought, “I bet it’d come out well now.” I committed to it rather hastily (laughs). Yet Nagai-sensei did all of this in a shonen magazine. If you look at his later works, they’re even more extreme. So I get the feeling that Devilman might have actually been on the restrained side, as a shonen series. That’s why I went into it with the mindset of, “If Nagai-sensei could have done as he pleased, he’d have gone this far,” or “I bet he really wanted to do it like this.” It’s a series that’s over 40 years old now, but there’s a lot that feels relevant to the world today. It was worth adapting in that sense as well. ─ I see the delinquents have been modernized as rappers. You even have artists who are active in the hip-hop scene like Ken the 390 and Hannya playing them. It wouldn’t feel right if we had delinquents acting like they came straight out of the 70s. I feel like rappers are the people who speak what’s on their minds today. Having professionals really gives it that impact, and it’s nice that they stand out in the street passionately explaining what’s happening (laughs). ─ While we’re on music, Denki Groove’s “Man Human,” used for the opening animation, is so awesome it gave me chills. It’s really great. The animated sequence is the work of Abel Gongora. As for the music in the show itself, I asked Kensuke Ushio, who I worked with on Ping Pong, to make the main characters, Akira Fudo and Ryo Asuka, appear cool. In the show, you can also hear “Devilman no Uta” sung by Avu-chan from Ziyoou-vachi. We even had Avu-chan play Xenon in the show itself. ─ I hear there are several episodes where a single animator draws all of the key animation. There are two of them. Episode 4 is by (Tomohisa) Shimoyama, and episode 9 is by (Takashi) Kojima. Episode 5 is pretty much all (Kiyotaka) Oshiyama so maybe that one counts as well. Oshiyama also worked on the devil designs, which are separate from the regular character designs. So make sure to check out the devils he came up with, which are creepy-crawly, but also have a lovable side. ─ These solo key animation episodes are pretty rare in TV anime. Is there a reason for this? It’s for the best that it’s like this. For many reasons, it’s now become standard practice to divide up an episode into small chunks for animation. A solo approach makes some things complicated and others easy, and generally we’re better off sticking to the usual ways. Being able to leave everything to one person is reassuring in terms of managing the production. And as a director, it’s nice to only have one person to explain everything to (laughs). Though of course it requires someone with both great skills and speed, so not everyone can do it. I had a wonderful team for this show, which is why we could pull it off. ─ When the show was announced, I remember you said, “I want to make it Ryo Asuka’s story.” If you had to say though, the protagonist is still Akira, isn’t it? The protagonist, Akira, is steadfast in his resolve from beginning to end. On the other hand, you could say Ryo develops throughout the story, or faces internal changes and struggles at least. On closer reading, the work begins and ends with Ryo. Akira is there to teach him something. That’s how I approached the work for this adaptation. ─ I first saw the show without reading the original, and man, that ending… I was left speechless when I finished it. Yeah, the ending is really what gives the story its impact. As a kid, I don’t think I understood the meaning of that final scene, but even then, it left an overwhelming impression on me. Besides Akira and Ryo’s story, the character I felt I had to get right was Miki. Why is Akira so attached to Miki, and where does her hope come from? And building on that, why does Ryo come to love Akira? What is it that Ryo takes away from meeting Akira and Miki? I set out to show just how the emotions of these three intertwine. ─ What Ryo takes away from it… You’ve said before, “In the end, it’s about love.” Is that what you meant? That’s right. It’s about what Ryo learns in the end. I set out to make the show with that in mind. Ryo meets Akira at a young age, and Akira is the only one who supports him. Deep in Ryo’s heart, he feels that Akira is the one thing in the world worth keeping, but he doesn’t realize it. We as humans can value others by more than if they’re “strong” or “weak”, as would be logical. There’s something more important than the rules of natural order. I want the viewer to see just how Ryo comes to this realization. ─ In 2017, you worked on two theatrical releases, and Lu Over the Wall won the top prize at the Annecy International Animated Film Festival. Do you think you could talk a bit about what must have been a year full of changes? Actually, things haven’t changed as much as I thought they would, even though I made two movies! Yeah, they really haven’t (laughs). I hope a lot of people watch DEVILMAN crybaby, and that it leads to something new in the future. In terms of my own ability, it really feels like I’m at my peak. It’s as if I can accomplish anything! I love hearing him talk about being at the top of his game, especially. That's really inspiring and exciting. Even if I have some trepidation going into this project, this staff is too crazy exciting for me, and dark content with the themes that Yuasa discussed gives me some peace of mind. Dark is fine, as long as it's not too nihilistic or misanthropic. It’s adorable to hear Yuasa feel in top form haha. Thank you for the translation! Thanks for this. It is always good to learn about trivial (in a good way) things of an anime you enjoyed. On another note, this anime still hurts to think about. I didn`t think it would have such a profound effect on me, even after reading the manga long ago.